Posted January 11, 2019 by Meir Sivak & filed under Uncategorized. 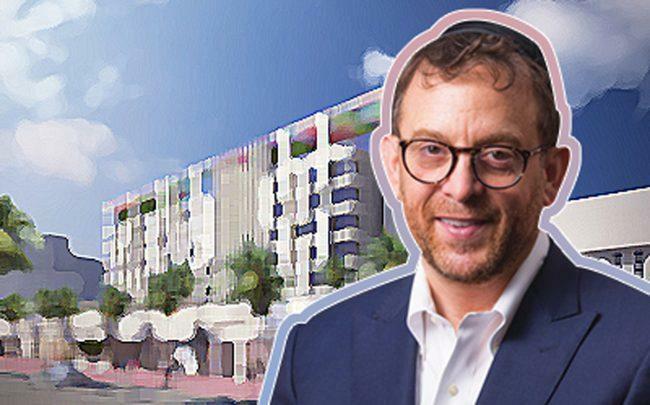 Lightstone just scored $73 million in financing to develop its Washington Avenue hotel in South Beach. The New York-based real estate investment company secured the financing from Canyon Partners Real Estate and CapitalSource. The funds will be used to build the first Moxy-branded hotel in Florida, a seven-story, 202-key hotel at 915 Washington Avenue. The financing package includes a $55 million senior loan from CapitalSource and an $18 million preferred equity investment from Canyon, according to a press release. Moxy is a millennial-focused brand from Marriott. The 78,000-square-foot hotel will have an outdoor courtyard along with a restaurant and all-day bar, a 72-foot pool and a fitness center. David Lichtenstein’s Lightstone Group paid $29 million for three aging storefronts in May 2016 to develop the hotel. The group bought the properties from Crescent Heights developer Russell Galbut and longtime Washington Avenue landlord and businessman, Saul Gross. Galbut gained approval from the city earlier that year to build a seven-story hotel on the site. At the time, some members of the historic preservation board expressed concerns about preserving the original three structures, which were built in 1936 and 1942.